Banning teachers held the strike line for the second day over the Unfair Labor Practice violation by Banning Unified School District (BUSD). District officials called for an 8:00 AM meeting with the Banning negotiating team to try and end it before a third day of strike further impacts the community. 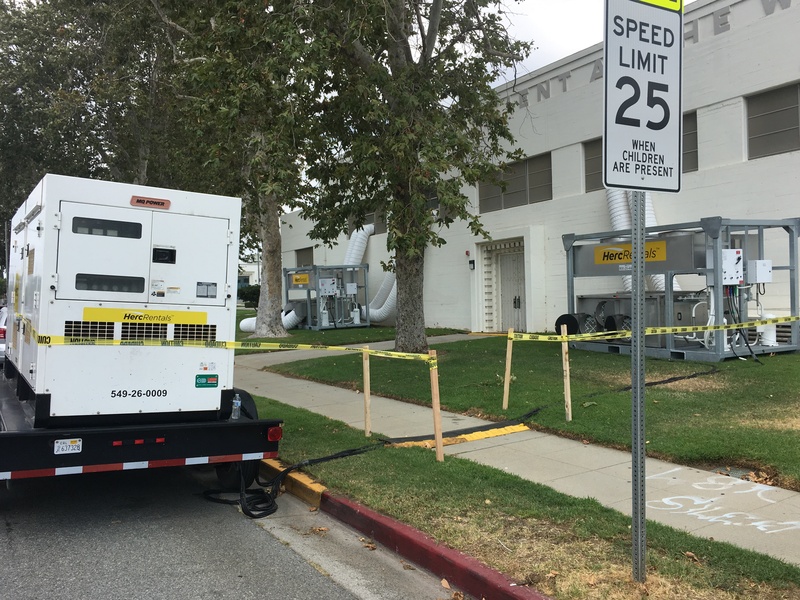 After yesterday’s overheating problems at Nicolet Middle School, BUSD officials invested over $30,000 on overnight set-up of portable air conditioning units and generator to cool the Assembly Hall to house students on the campus. Those teachers still in classrooms are monitoring just a few students in classes Thursday, as most parents kept their children home. The BTA team will continue negotiations to bring a fair settlement to teachers who had an additional hour added to their workday without compensation or negotiation- a move by the District that precipitated the Unfair Labor Practice. District officials offered to use $300,000.00 to settle the cost of compensating teachers who were required to work an additional hour last year at Nicolet Middle School, however, the District did not agree to completely remove the hour in the future. They want the school day to remain longer than the previously negotiated bell schedule. If no settlement is reached today, BTA members will return to the strike line for a third and final day on Friday.